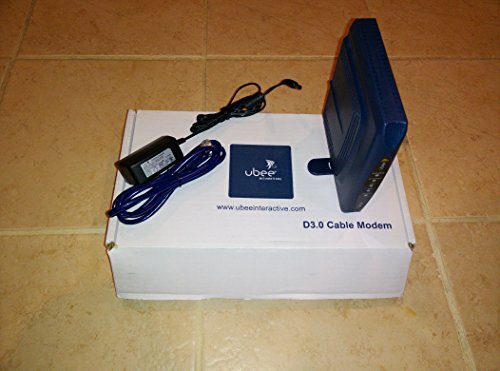 The Ubee DDM3513 data cable modem is most typically used as a rental unit by Comcast XFINITY, but the modem is also approved for most cable service providers. This modem has IPv4 and IPv6 support that enables increased address capacity and improved security, and is one of the slower models providing 4x4 bonded channels. This is cost-effective for rental replacement for basic service plans.